Being raised with horses I started riding at a very young age. The first few years I took part in both the English disciplines show jumping and dressage. At the age of 9 I switched to Western and joined the trick riding team The Future Guys. In the 12 years I was part of the team we gave numerous national and international shows. 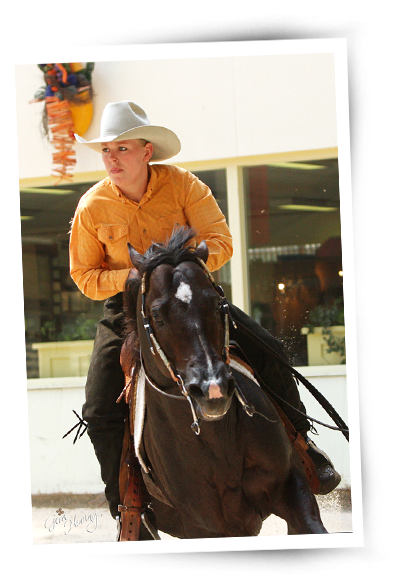 Between the age of 14 and 19 I joined the Dutch team for the AQHA Youth World Cup three times. Each time, I gathered the highest amount of points for the team and also became World Champion Western Riding. When I was 19 I set out to the United States, to work for Craig Johnson and later for Steve and Carol Metcalf. This was a change since I had been working for my sister, Rieky Young and her husband. After returning to Europe I spent some time in Italy working for Adreano Meacci, but eventually returned home to the Netherlands and brought with me lots of experience. When I was younger I competed in every discipline of Western riding, but I now focus on Reining, Cutting and Working Cowhorse. I have won several titles and Championships in each of these classes. 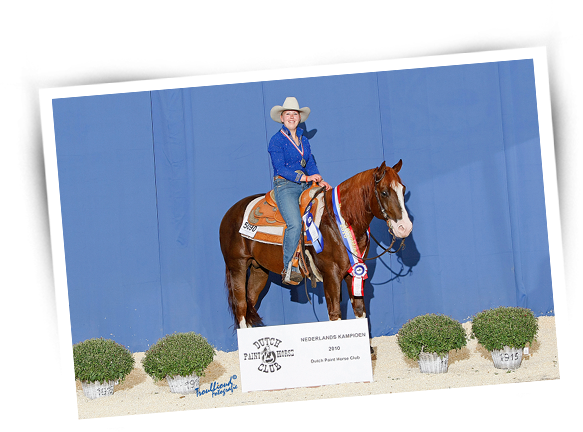 I am an NRHA money earner and earned ROMs with several horses. Over the years I have won multiple Dutch Championship titles in Reining and Working Cowhorse and became 3rd at the NRHA European Affiliate Championships. In 2005 I joined the Dutch team for the FEI European Reining Championships at which we placed 4th. For the last couple of years I have been running my own training facility in Escharen, the Netherlands. Here, I train horses for shows or recreation and break young horses. Also, I guide and train the riders and organize several clinics. At the moment I own two great studs and there are always several horses for sale, which you can both find on this website as well. Thank you very much for visiting my website and stop by again sometime soon for recent news and updates!